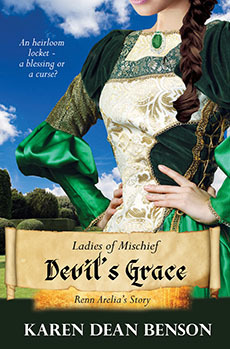 Imagine being kidnapped and transported back in time to a 16th century French castle.Danielle deForet, a beautiful rare antiques dealer, is tricked into completing an appraisal on a rare French piece, when to her surprise its owner casts a spell sending them both back to 1559. Danielle learns she is the crucial link for a royal spell and finds herself guarded by a handsome knight, Aidan. They soon fall in love, and he plans a risky escape. Georgina, once a seer, now a mannequin in Danielle’s shop, was turned to wood by that same wizard. Her body stilled, her mind sharp, she is the lovers’ only hope to escape. If she intervenes, and the wizard finds out, he will stop at nothing to make his spell succeed, even if it means destroying Georgina, Danielle, and Aidan. Coerced into marrying a man she does not love, the stunningly beautiful Claire St. Martin discovers, weeks after the ceremony, that the man she spent her wedding night with was a stand-in, a surrogate for the man with whom she had that day exchanged wedding vows. Feeling her life now lies in tatters, she flees luxurious Silverwood House, escaping to a place where the destitute of Victorian London struggle to survive– Whitechapel. Shortly before the nuptials and unbeknownst to Claire, her fiancé Bennett Kirkwood and his best friend Braxton Kane were blackmailed by a Machiavellian fiend, Mordock Peckworthy, a man bent on revenge. Reluctantly participating in the despicable and archaic practice of Prima Nocta, it is Braxton Kane who suffers remorse over the deed, not her husband Ben. Wracked with guilt, he searches and, with incredible luck, finds Claire, who has secured employment for herself as a servant in an agency that supplies temporary domestic help to the upper classes of London society. On a mist-covered road bordering the Thames, a careening carriage nearly runs over a young woman escaping a forced betrothal. A nobleman jumps from the carriage and runs to her rescue; two cultures collide, England and Spain. An heirloom locket and an irresistible chemistry are the stepping-stones to destiny. The Wild West gets tamed by love. 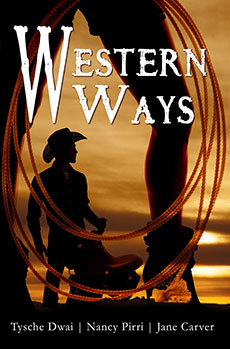 Three stories showcasing everything you love about Western Romance, and it’s not all about cowboys. Fresh out of teaching school, Jayne Kincaid is forced to accept a position in Temptation, Texas. Will feisty Sheriff Prescott claim the teacher’s hand? In 1894, college Professor John O’Connell arrives in Bozeman, Montana. He meets seemingly shy Grace Morgan but discovers this ‘Penny Dreadful’ writer is anything but proper. Jenny Lincoln keeps one big secret from middle-aged homely rancher Neal Franks. Can he win the Ranger’s heart? Maybe, but first he has to rescue her. Today we bring you two short stories and an anthology, all from our pink (sensual) line of romance books. Be sure to subscribe to the blog to ensure you don’t miss any of our great upcoming releases! 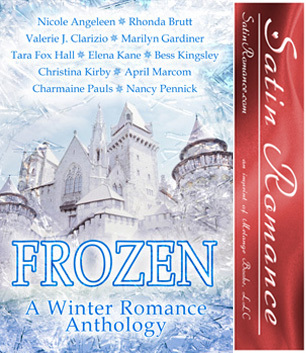 Southwest Florida Romance Writers (SWFRW) offers a unique anthology with ten original stories. 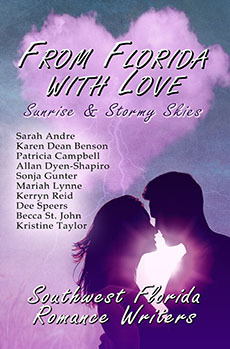 They each feature a gorgeous Southwest Florida sunset, pink flamingos in all forms, and romance. 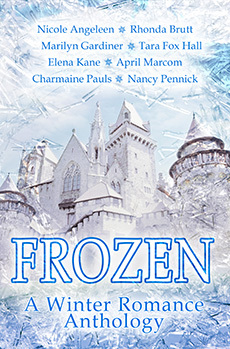 Enjoy enchanting tales about love, including old and new love, lost love, second chances, and even puppy love. The characters range from a Spanish lady, rambunctious “Active Seniors”, a lovesick flamingo, an international spy and everything in between. Read them all in one sitting or savor each one as a separate adventure in front of your own special sunset. Be ready to laugh, they will touch your heart and mist your eyes. Grieving Krys Markman has come to lose herself in family memories at Letchworth State Park, and try to figure out her next step. Yet the unearthly beautiful music she hears each night stirs her soul to romance. Can its creator, the attractive vampire David Helm, heal her broken heart? 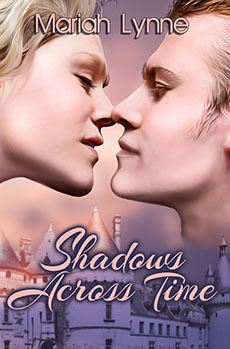 In the mystical land of Ravenshead, a prince and a healer are drawn together by a passion stronger than fate. The gorgeous, rebellious Prince Beau loves strong-willed healer Agnatha, and with the help of an all-powerful godling, the two may find the happiness each deserves.